In order to provide the best game experience, we will be performing a Diamond Sealing service on September 30th. Please see details below. 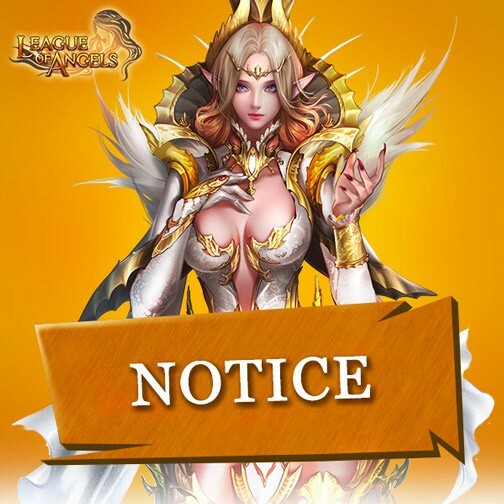 By September 30th 6:00PM (Server time), if you haven't logged into the game for more than 30 days, we will seal your Diamonds and keep it safe for you. Those Diamonds will be sent to you via in-game mail on October 1st (server time), in full and safe and sound. Please don't forget to check your in-game mail & claim your Diamonds after you've come back. If you have any questions, please feel free to comment here or report it to our support center. Last: New Server Ravenfall ​Arrives 2:00 PM October 12th 2016 GMT! Next: League of Angels: Equip Your Angels!